Sports in the Kingdom of Saudi Arabia (“KSA”) first and foremost means football. While sports clubs typically sustain and manage teams across a number of sports, as their mandate has historically been to develop and promote broader athletic pursuits rather than just single-sport success, there can be no doubting that football takes prime place in terms of public interest, the pursuit of excellence and commercialisation of sporting endeavours. The Saudi national team is one of the most successful national teams in Asia. In fact, the team has won the Asian Championship three times and has qualified for the FIFA World Cup four times, the first of which was in 1994. Al Hilal FC has tallied a record of forty-three domestic titles, six trophies in various Asian championships, and a record of eight Arab championships. Similarly, Al Nassr FC holds the distinction of being the first Asian club to play on an international level. Both teams are considered to be amongst the leading football clubs in Asia. How nations go about organising sporting pursuits, particularly what legal status and forms are chosen to manage their sports clubs, can be a complex matter including considerations of history, culture, resources, and administrative goals. For the purposes of this article, we are going to consider the plans for privatisation of sports clubs in KSA or, in other words, the transfer of operational and financial control from government hands to the private sector. Subject to effective implementation and the absence of significant market distortion factors, the privatisation of sports clubs can be beneficial in terms of providing not only access to capital for short-term use, in player purchases or infrastructure investment (the KSA could benefit from stadium redevelopment), but also for establishing the necessary business framework to nurture talent and encourage the adoption of best practices in club management. Indeed, the prospect of attracting owners who will be incentivised to bring in the best and brightest management teams to drive commercial success could bode well for growing match-day revenues with stadium development and furthering international competitiveness with player investments. KSA has recently added a number of new imperatives to its long-standing position that privatisation of certain state-owned assets can and should play a significant role in economic development. The transformative Saudi Vision 2030 plan looks to reduce Saudi Arabia’s dependence on oil by diversifying the economic model for the nation across a wide range of fronts. It expressly refers to the promotion of physical and social well-being and healthy lifestyles as specific goals, together with the reduction of costs and increase in efficiency (noting that government is working with the private sector to establish additional facilities and programmes). Top-division clubs competing in the Saudi Professional League, are all presently government-owned. While this may be counterintuitive for those based in other jurisdictions, it stems from historically centralised growth and development of socially desirable sporting initiatives across a range of sports, including sports that may not have the commercial appeal and the sustainability of football. These clubs are the flagship clubs of the KSA sports industry and although club finances are not currently public information, the PRO League has robust domestic revenues. While official revenues are not public information, certain sources suggest that the KSA domestic TV revenues alone provide substantial income (reportedly exceeding those of the MLS by as much as 50%). It is logical to anticipate that those clubs should be at the forefront of the ambitious plans for sports sector development. Additionally, the KSA government commissioned Deloitte to prepare a feasibility study of the privatisation of leading clubs in KSA. This fact, combined with recent announcements (noted below) that moves are afoot, suggest a serious review of relevant factors has been taken in earnest. While privatisation has been identified as pivotal in KSA’s economic development plans for some time, it was not until late 2016 when more specific goals for the potential role of privatisation in football were announced. Those goals include elevating the quality and status of the league and positioning it to diversify revenues and make a greater contribution to the national economy. Privatisation measures will be considered for clubs that are playing in the country’s top league. Further, anecdotal reports suggest that the initial solicitation for investment will be limited to between two and four clubs only. We speculate that it is only the most commercially viable clubs that are being considered for privatisation, at least initially, as the fate of the process may well rely on the early results. The Saudi Professional League enjoys strong support and a number of high-profile clubs have a track record of accomplishment in the AFC Champions League. Football clubs in the Gulf Cooperation Council (“GCC”) tend to be supported by a combination of traditional revenue sources (broadcasting, commercial, match-day revenues etc.) and contributions from wealthy groups and individuals affiliated, formally or informally, with the clubs. Accordingly, wholesale structural changes overnight will not be easy, as investors will need to maintain traditional support while understandably expecting corporate control with clear guidelines and the freedom to implement their new business plans within clear guidelines. The announcement of Saudi Vision 2030 in April of 2016 was quickly followed in May by the General Presidency of Youth Welfare being rebranded as the General Authority for Sports and given greater responsibilities for developing sports clubs and facilities. Shortly thereafter in June, the National Transformation Program 2020 (“NTP”) was launched as the first stage of implementation of Saudi Vision 2030 with interim targets. In July the General Authority for Sports and the Ministry of Commerce and Investment (“MoCI”) organised a campaign to increase awareness amongst football clubs and other parties in the sector regarding the need to register trademarks and logos to protect the value of IP. This is a positive sign and an indicator that we would expect to see more campaigns as professional business processes are embraced and clubs position themselves to exploit available revenue streams. 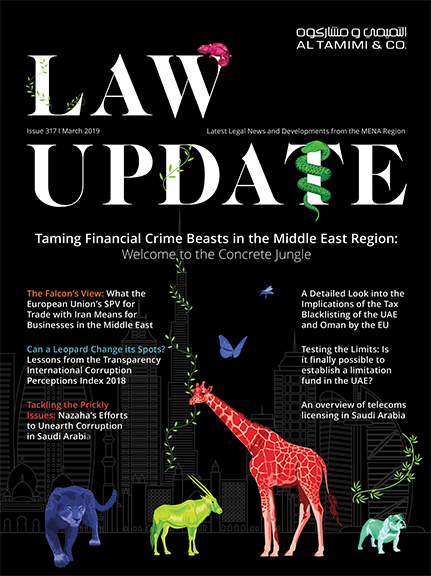 Specific details concerning the necessary procedural steps for transforming the clubs into corporate entities and subsequently formalising the process of private investment, including timelines, applicable regulations, and execution documentation, have not been provided at the date of this article’s publication. However, it is understood that the privatisation plan will likely be carried out in phases. It has also been suggested that for the purposes of investment, every club will have two components, assets and real estate, and that any given privatisation need not include an obligation to purchase the accompanying property or headquarters. This would provide some flexibility to investors in considering various business plans and strategies to optimise growth and development in years to come. The Council for Economic Development and Affairs has approved the formation of a committee to oversee the completion and implementation of football club privatisation and directed that the General Authority and other stakeholders should create a Sports Development Fund, inter alia, to provide loans and facilities for clubs. This committee is headed by the Chairman of the General Authority for Sports, and includes representatives of the Saudi Professional League and the Saudi Arabian Football Federation. In respect of set up and regulation, whether or not a specific corporate vehicle will be required to hold the assets and what form and scope a designated long-term regulator may take in the process, is currently unclear. The success of privatisation programs in general can turn on the quality and oversight of a credible regulatory body moving forward, so it would be in the committee’s best interests to ensure that this point is given due consideration. The size of the Sports Development Fund earmarked for assisting with this process and the precise details of planned allocations are not officially available at present but the establishment of the fund does suggest an understanding and appreciation that there will be certain costs involved in helping even the top clubs achieve immediate sustainability. Privatisation in general can include a number of challenges both predictable and unforeseen. In the current context, it is instructive to note where at least some of those issues may arise. Lack of Market Comparators: In implementing a new legal structure on a going concern in a relatively unique sector, it is beneficial to have current, similar examples to “stress-test” as potential models. In the present context, models from neighboring GCC jurisdictions are limited, as KSA will likely lead this movement. Management of Accounts & Transparency: For a number of the selfsame reasons why privatisation is desirable (prudent and stable corporate management, imposition of sustainable commercial strategies etc.) investors are likely to be cautious and thorough in gaining an understanding of the existing business. As such, it is important that government exercise full disclosure in dealing with qualified bidders. With respect to early efforts to sell the Saudi Telecommunications Company (STC), negotiations broke down with three potential investors (NTT of Japan and France Telecom both opted out during negotiations, while the Saudi government rejected the US-based Southern Bell Corp’s proposed terms), reportedly in part because of concerns including a lack of transparency and the historical management of accounts. In the context of football privatisation, such issues could lead to unnecessary delays and increased costs in terms of agreeing valuation, conducting comprehensive due diligence and subsequently preparing deal documentation. Limiting the Scope of Investor Pool: The information currently available suggests that for the initial phase at least, only KSA national investors will be entertained as bidders for sports clubs. A limited field of investors may accordingly limit the range and dynamism of business proposals and deny access to otherwise skilled and enthusiastic sources of capital for sports investment. The STC privatisation referred to above indicates that for the right opportunities, and under the right conditions, significant international investors will be interested in the KSA market. Recent activity in the world of football also suggests that casting the net wider, to include Chinese investors for example, could bring rewards. This restriction could be ameliorated to attract investors with foreign capital and skilled sector-experience, even on the basis of permitted minority stake investments. Regulatory Oversight: Even after identifying and attracting suitable investors, if an appropriate procedural model for executing the investment can be accomplished, previous privatisation efforts in other sectors within KSA have taught us that the lack of clear guidelines and strict regulatory monitoring may be detrimental to the government’s ultimate goals for the sector. Over the past decade, Saudi Arabia has privatised elements of its utilities, including in the water supply, electricity, and telecommunications sectors. In each of these areas, consumers have raised serious concerns about the performance of the privatised entities. For this reason, the government should give sufficient consideration to the nature, powers and processes through which ongoing regulation will be implemented. The identification and assembling of suitable regulatory requirements and personnel should be considered a pre-requisite for successful privatisation. The background and motivation for taking the significant step of privatising Saudi football clubs is clear. Vision 2030’s expectations for the sector’s contribution to the national economy, including anticipated job growth and diversification of revenues, are aggressive. The structural development of necessary organs to oversee the plan has been put in place rapidly. The necessary mechanisms and legal procedures to complete club privatisations are not yet entirely clear. Appropriate privatisation guidelines and benchmarks will be necessary to (i) attract the optimal profile and number of investors; (ii) facilitate comprehensive inventory of assets; (iii) efficiently manage the investment mechanics; and (iv) implement suitable regulatory checks and balances post privatisation. Some delay is to be anticipated and is not necessarily a bad thing as some procedural flexibility can be beneficial (e.g. given the need to read and react to the investor pool and reduce the potential for missteps). The impetus for growth and the opportunity for private entities to get involved provide substantial encouragement for job growth from developing a sector rather than just a team or even a league. Additionally, the potential benefits of encouraging investment in sporting facilities, as well as developing local talent and increasing competition, are benefits we would all look forward to seeing reflected on the pitch. This should be balanced against a concern that not casting the bidder pool wide enough to include foreign investors may preclude willing, able and experienced team owners. How the process moves in the next few months will determine how successful the plan will be and it would be unfortunate if the momentum created by recent statements is lost. A number of factors, including the relative strength of the top clubs, the size of the market, the potential for sustainable revenue generation, the government’s willingness to place specialists in key roles, a long history of passion for football, the relative dearth of comparable entertainment, the parallel/collaborative investment in public participation, and the commitment to develop grass-roots sports, as well as sports facilities, all combine to suggest that there are significant reasons to believe the time may be right to proceed with this long mooted plan. Experience suggests delays should be anticipated as we see the development of a publicly available bidding process and clear regulatory guidelines. Beyond those hallmarks, any feedback from bidders during the process will provide valuable information. Indeed, a stutter-step between the bidding process and any award, even if it results in a slippage of timelines, could be indicative of a willingness to read and react to bidder feedback, which could be positive as successful privatisation should be a collaborative undertaking. In any event, with a number of high-level statements pointing to impending developments, it will be an interesting time to keep an eye on developments in the long-planned privatisation of KSA sports clubs. Steve Bainbridge is the Head of our Sports Law & Events Management practice. Ahmad Ayoub is a Trainee Lawyer in Al Tamimi & Company’s Corporate & Commercial Department, supporting and advising corporate clients registered and operating in the DIFC and/or the UAE across a range of corporate commercial matters. Ahmad also routinely supports our Sports Law & Events Management practice on commercial and administrative projects.